"Grunge Floral Vintage Personal Checks" product is already in your cart. These Grunge Floral Vintage Personal Checks make you step out of the ordinary and express your Grunge style. Impress others with your new American made Grunge Floral checks and Save up to 70% off bank prices! 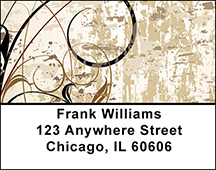 Complete your order with matching Grunge Floral Vintage Address Labels and a coordinating Checkbook cover.